Nendoroid Tamura Yukari has been announced a few days ago, and now she gets a page of her own in GSC’s product listing. What does this mean to us? Well, we are now able to see higher resolution photos and more details of this lovely Nendoroid! An action figure of the Yukari Kingdom’s Princess! 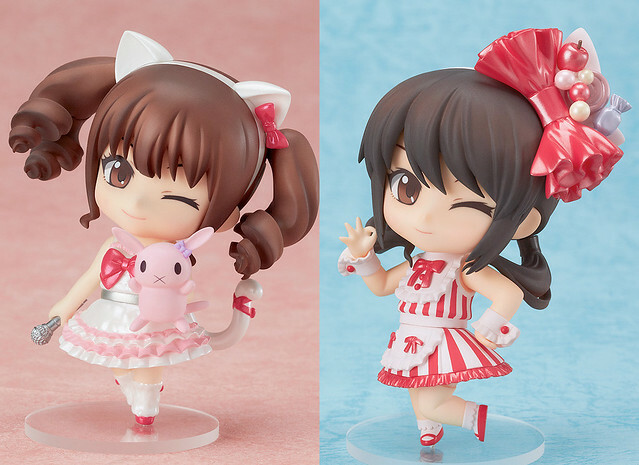 The world’s cutest voice actor, Yukari Tamura, is joining the Nendoroid series! She’s also a well-known singer, so she is dressed in her stage outfit with a mike in hand, ready to sing for the fans! The happi coat often seen during her live performances as well as the two cat plushies are all included as optional parts, allowing you to completely recreate her stage performance in Nendoroid form! As we have known, Nendoroid Tamura Yukari will be priced at 4900 Yen and she will be exclusively sold at her concert: Tamura Yukari LOVE ♡ LIVE 2013 *Cute’n ♡ Cute’n Heart* on June. Nendoroid Mizuki Nana also gets her own official page at GSC’s website, featuring better quality photos and the usual specs. Nendoroid Mizuki Nana will be priced at 4900 Yen and she will only be sold at her concert: Mizuki Nana Live Circus 2013 on July. This entry was posted in News and tagged limited, mizuki nana, nendoroid, seiyuu, tamura yukari.